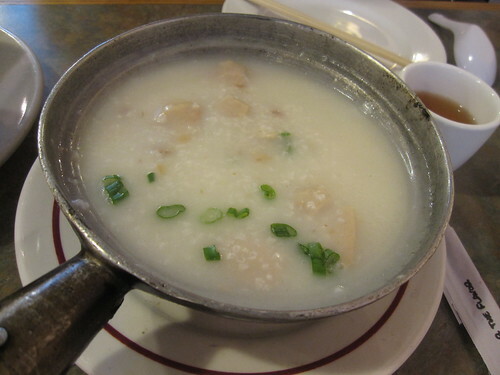 Cold weather, slushy streets and a threatening sore throat is the perfect equation for a hot bowl of congee for lunch. We tried Congee last summer and thought it a good bowl but surprisingly hadn't been back since June of last year. How remiss. Quickly remedied and confirmed, the congee is still quite good. In fact I would go so far as to say a step above some of the others we have eaten.